PLEASE READ THIS ENTIRELY BEFORE PURCHASING. If you are rural please expect to pay more. 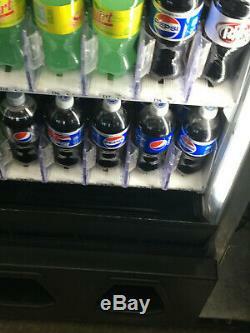 Dixie Narco 5591 glass front soda vending machine. 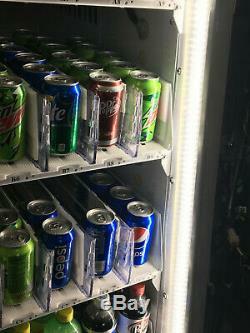 This machine will vend 12oz, 16oz cans, 8oz red bull cans, 16.9oz bottles, 20oz bottles but all selections except 20oz bottles need a plastic shim. 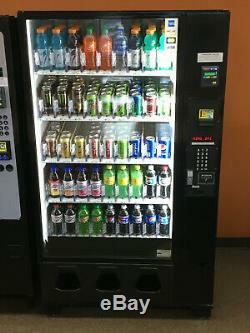 This machine is multi price meaning each selection can be set to a different price. All functions work properly please do not ask if the machine works yes it works. 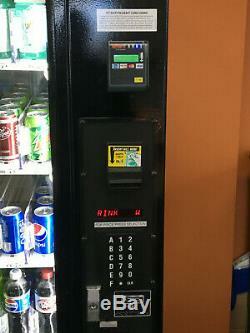 The item "Dixie Narco 5591 Glass Front Soda Vending Machine used card reader" is in sale since Thursday, February 21, 2019. 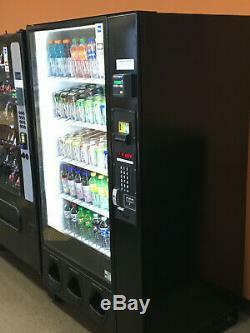 This item is in the category "Business & Industrial\Restaurant & Food Service\Vending & Tabletop Concessions\Beverage & Snack Vending\Cold Beverage & Soda Machines". 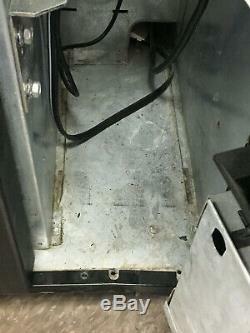 The seller is "vendingsales5034546349" and is located in Troutdale, Oregon.